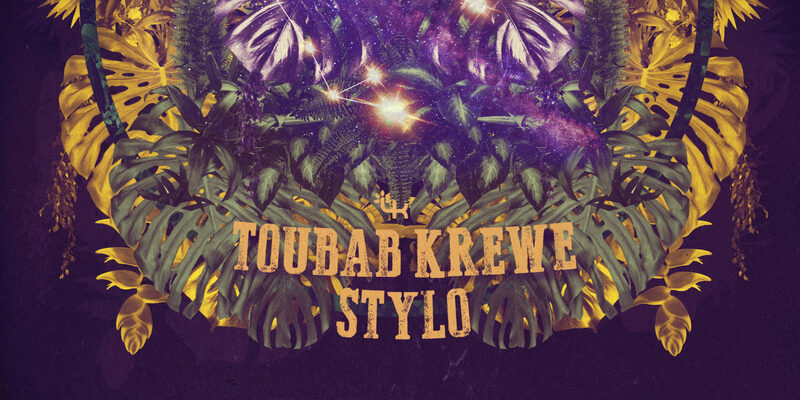 Toubab Krewe, an instrumental quintet out of Ashville, NC, has defied the odds. They emerged in 2005 as an unlikely group of young Americans creating a highly original fusion of West African, Appalachian and rock traditions. Their musical chops, creative spirit and youthful daring carried them quickly and far, and before long the band was living on the road, rolling their way from Bonnaroo, to B. B. King Blues Club in New York to bars, clubs and festivals around the country—not to mention the Festival in the Desert in northern Mali. Following their second release TK2 (2010), the band took time off—a lot of time. There were a few personnel changes. Percussionist Luke Quaranta moved to New Orleans, home of the band’s then-new drummer Terrence Houston. Years went by. And now, in 2018, the band rises with this, their third studio album, a national tour and music with freshness and vigor that fully justifies a seven-year time out. The album opener, “That Damn Squash,” is a brooding psychedelic shuffle, with a Malian Wassoulou music beat spiked with twangy surf guitar riffs from Drew Heller. It’s a vibey, ambling track with just enough chord changes to differentiate it from the Wassoulou formula, but not so many as to lose the simple harmony and driving melodicism that give the Malian genre its force and focus. “Night Shade” builds on a pulse of vibrating guitar and blossoms into a rich sonic weave—a classic West African marriage of 4/4 and 6/8 time. A series of processed guitar and kamelengoni (small version of Malian hunter’s harp) passages take the place of vocals, chiming and roaring by turns. This is important. For all the propulsion and texture percussionists Quaranta and Houston and bass man Justin Kimmel can conjure, with no vocals, sounds and melodies must seize center stage, just as a commanding singer would in a more conventional band. Crucial in this process is the kamelengoni, kora and guitar work of Justin Perkins. “Lafia” is raging, riff-based rock, but even amid cascading walls of distorted guitar, Perkins’s pointillist kamelengoni part holds its ground, and when the band drops to near silence to make way for his elegant solo, the effect is pure magic. A number of songs draw on Mande music. “Stylo” begins as classic Mande swing, with Heller channeling the twangy tone of Djelimady Tounkara in old Rail Band of Bamako recordings, but the track evolves into sensuous rumba crosscut with bluesy guitar riffs. “Saba Miniya” uses one of those tricky, stop-time Mande-pop intros. Then Perkins’s kora unfolds a wistful hook vamp backed by a glorious wash of surging electric guitar. Solos are always impressive but also restrained. The focus is always on the ensemble. Perkins turns loose an avalanche of kora on “Saba Miniya,” but just for a minute before the band drops into a spacious dub reggae section. Heller’s guitar work is terrific throughout, drawing on a rich array of influences. On “Salut,” a loping pentatonic romp, he merges the darting eloquence of the late Bambara guitar maestro Zani Diabate with the muted percussive attack of Cameroonian bikutsi music. “Miriama” is an artful reworking of a classic Baaba Maal song, and it’s the one song on the album to incorporate vocals, courtesy of Malian bass man Sekou Bah and Wassa Coulibally, two of four West African guests on the track. Time off has only refreshed Toubab Krewe’s creative juices and enriched their signature blend of West African and American sensibilities, as freewheeling as it is studied. 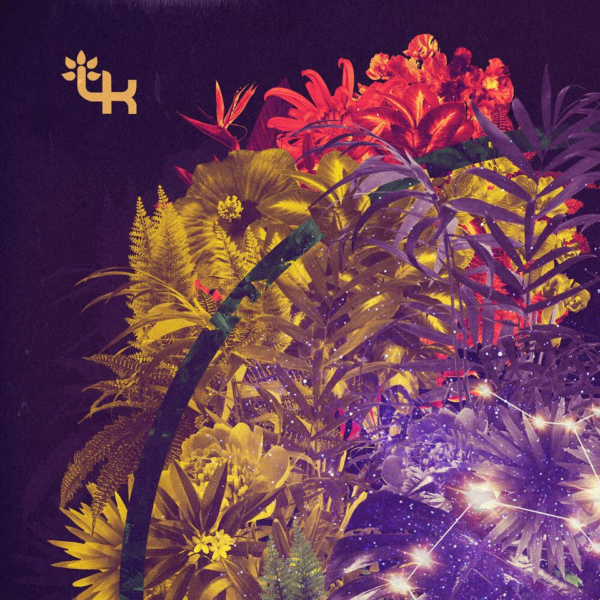 New Single from Toubab Krewe: "That Damn Squash"